In this brilliant reimagining, Sally Magnusson gives a voice to Asta, the pastor's wife. Enslaved in an alien Arab culture Asta meets the loss of both her freedom and her children with the one thing she has brought from home: the stories in her head. Steeped in the sagas and folk tales of her northern homeland, she finds herself experiencing not just the separations and agonies of captivity, but the reassessments that come in any age when intelligent eyes are opened to other lives, other cultures and other kinds of loving. The Sealwoman's Giftis about the eternal power of storytelling to help us survive. The novel is full of stories - Icelandic ones told to fend off a slave-owner's advances, Arabian ones to help an old man die. And there are others, too: the stories we tell ourselves to protect our minds from what cannot otherwise be borne, the stories we need to make us happy. 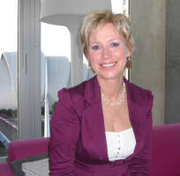 Sally Magnusson is currently considered a "single author." If one or more works are by a distinct, homonymous authors, go ahead and split the author. Sally Magnusson is composed of 2 names. You can examine and separate out names.